The Fiddle leaf Fig tree (ficus lyrata) with its large, violin-shaped leaves (hence the name) is a living sculpture that can stand on its own. 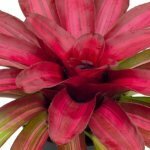 This plant commands attention whenever you enter its presence. It is strikingly beautiful with wavy green, leathery leaves growing from one main stem -- a stylish and graceful, fast-growing plant that can touch the ceiling in a few years. This tropical plant originated in West Africa and can grow as tall as 40 feet; however, the growth is much slower when grown indoors. Make a bold statement with a big leaf house plant and grow this stylish, large indoor tree in your home. It is really easy to maintain; however, you have to find a good place to keep it with bright indirect light and plenty of warm sun. A room with a Southern or Western window exposure would be ideal. Also, Fiddle Leaf Fig trees can be rather finicky - and will become stressed and drop its leaves, as it doesn't like to be moved around. Whether you like the formal or casual look you can add that special decorative touch just by choosing pretty and interesting wicker baskets, plastic containers, and ceramic chache pots. Lighting: Provide plant at least 6-8 hours abundant, indirect light. Do not place your plant close to windows that get hot, afternoon sun, as this could burn your plant. Be sure to rotate plant to keep it balanced. Water: Water when soil is dry to the touch, test soil by sticking your finger into the soil; if the top 1 – 2 inches of soil is dry, Water thoroughly and allow excess water to run off. Avoid leaving plant in standing water to avoid root rot. Decrease water in winter when plant goes dormant. NOTE: Plant is sensitive to the salt in soft water. Do not use water from water softening systems - rainwater or bottled water is okay. Temperature: Plant likes to be kept between 60-80 degrees. Keep it away from air conditioners, drafts, and heating vents. Avoid intense cold or heat as this causes leaf drop on a Ficus Tree. Soil: Pot your plant in rich, well-aerated potting soil that drains quickly. It should hold moisture, but not be soggy. 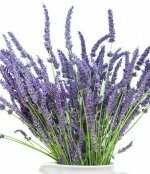 Humidity: Plant likes high humidity, mist the leaves with tepid water at least a couple of times per week. Use a room humidifier for best results. It will work especially well if you live in a dry, arid place. Fertilize: Feed your fiddle leaf fig plant every week during the growing season using an all-purpose liquid plant food at half strength. Fertilization is not required during the winter months because the plant goes dormant. Fiddle Leaf Fig, like being root-bound in small pots; therefore repotting should be done infrequently. Grooming: Remove old leaves as soon as they begin to yellow and clean leaves with soft sponge and water to keep your them looking healthy and glossy. Prune: Early springtime prune from the top of your tree to encourage branching and fullness. You should remove all the dead growth and trim down the unwanted new growth. Repotting: Repot into a pot that is two (2) inches bigger when the roots begin to grow out of the bottom of the pot. 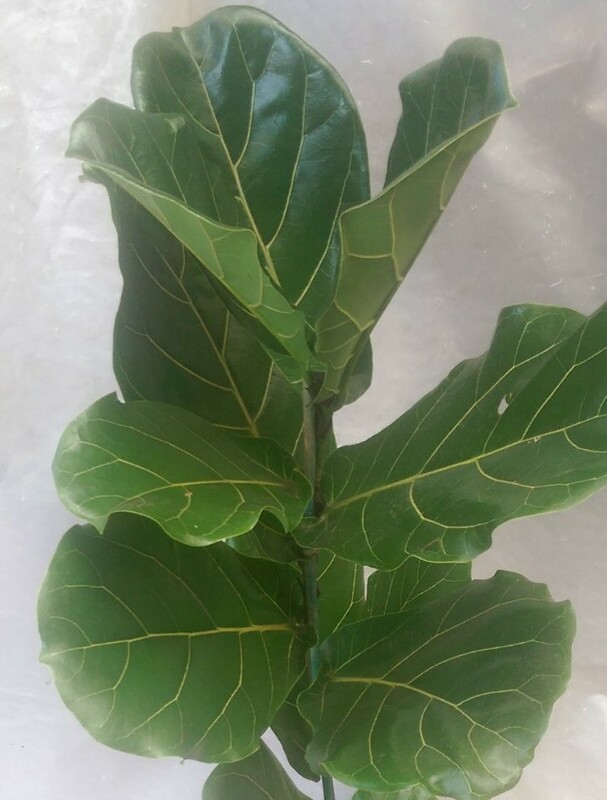 Enjoy your space with a trendy, fabulous Fiddle leaf fig tree plant! !